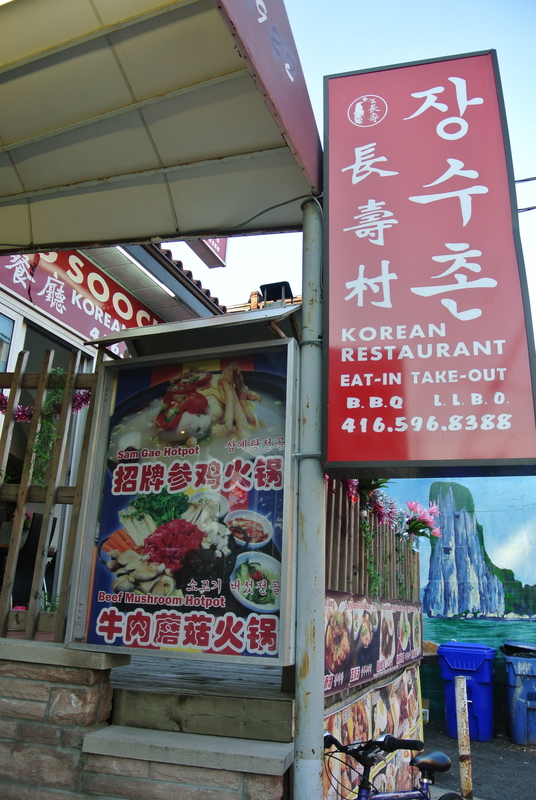 My friend G knows all the best asian food dives in Toronto! This past Sunday he decided to take to his current favourite Korean restaurant for pork bone soup. It was too hot and muggy for me to have pork bone soup so I decided to have bulgogi instead. But along with our meal he ordered a whole pan-fried mackerel for which he insisted I would love. He wasn’t kidding! It came on a hot plate, hot and sizzling, with a lemon wedge – it was delicious! So fresh! And best of all…..it was only $2.99! Unbelievable. For $5 including tax and tip, you can get the mackerel and a bowl of rice – that’s less than a Big Mac meal at Mc Donald’s. So if you’re in the mood for some good Korean food at a reasonable price, check out this one, totally worth it – our meal was less than $20! Korean Restaurant – I know it looks like a dive but pretty good Korean food at such a great price! 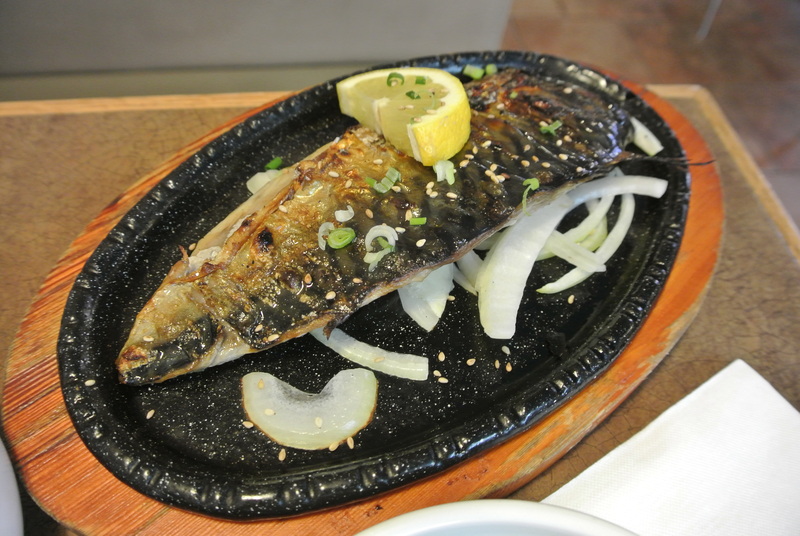 Pan-fried mackerel for $2.99! Best deal I’ve found so far! 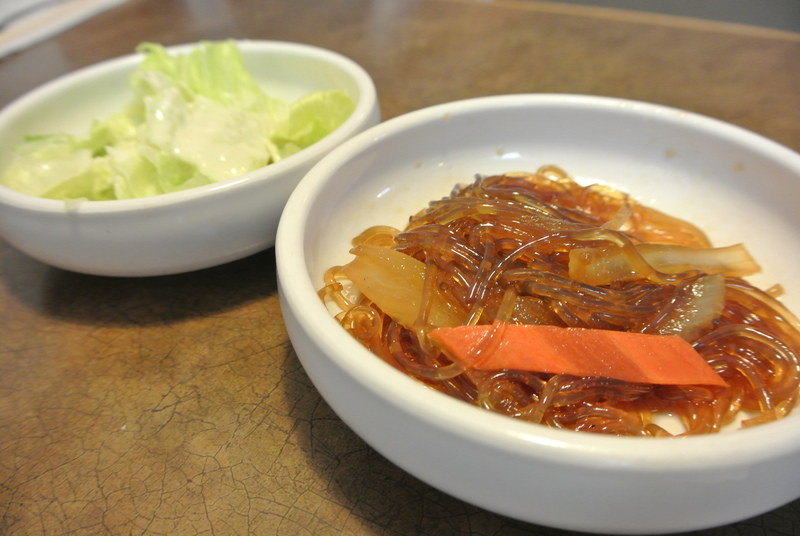 Korean side dishes – each Korean restaurant has their own take on side dishes. 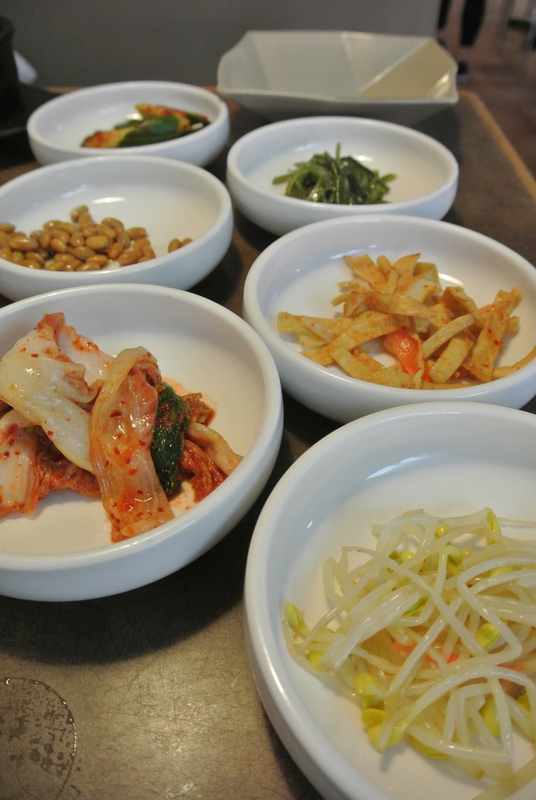 Some more side dishes – 8 dishes in total accompany every meal. 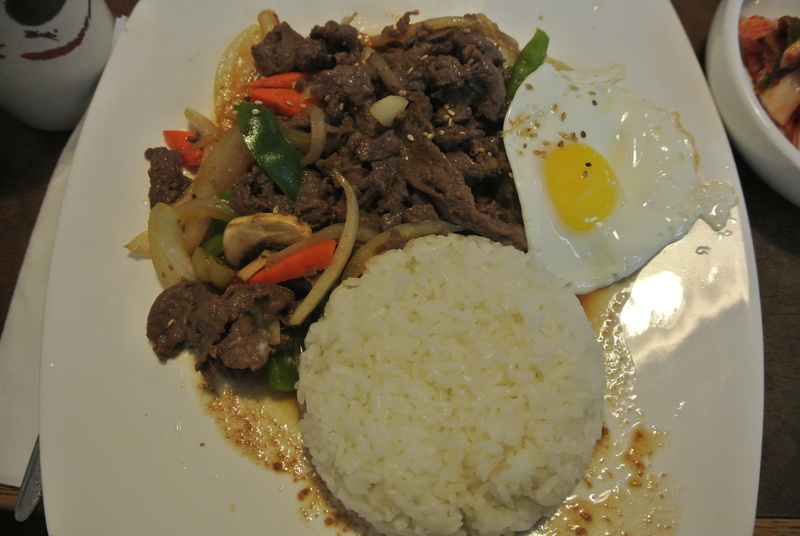 My order – beef bulgogi. Like the fried egg that came with the dish, almost like having babimbap. 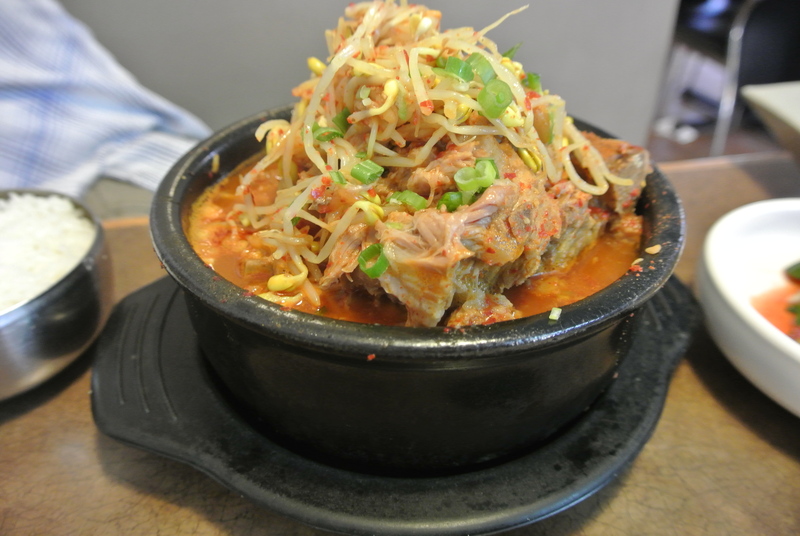 G’s dish – pork bone soup, extra spicy!